1. 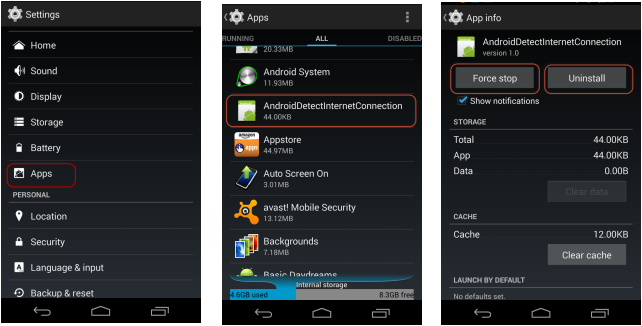 How can I install apps on my Android device? a. 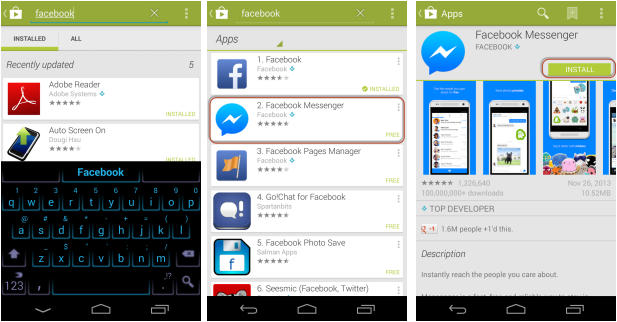 From Market apps like Google Play Store and Open Google Play Store app,search for the app and then hit install . 2. 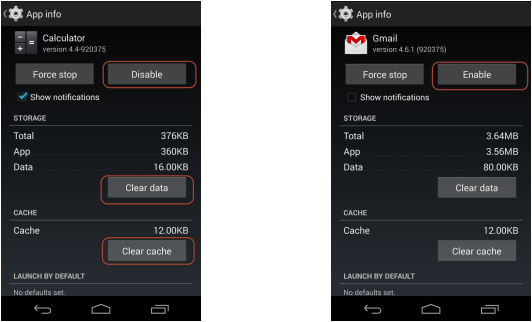 How do I close an app that keeps freezing up my Android device? Go to Settings / Apps and choose ‘All Applications’. Now choose the app that is misbehaving from the list and tap ‘Force stop’. If the app continues to misbehave you should try uninstalling and re installing it. 3. How can I remove / uninstall apps? There are 2 ways you can uninstall apps. b.Go to the Market Apps like Google Play and select My Apps section.Go to My Apps or All apps installed,select the app you want to uninstall and click the uninstall button. 4. How can I set up my apps to update automatically? 5. 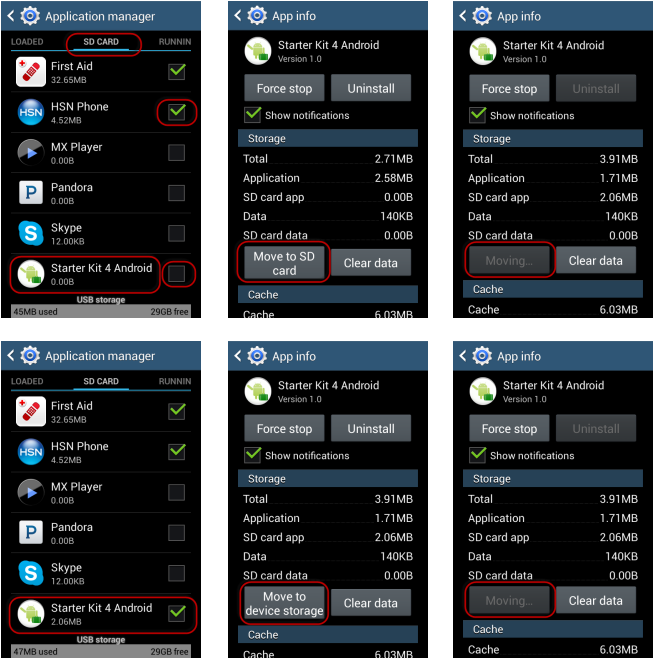 How can I remove apps that were pre-installed on my Android device? Go to Settings / Apps and choose ‘All Applications’. Now choose the app that came pre-installed on the Android device. Now tap on the Disable button that will uninstall any updates on that app that happened after you got the phone and will also disable that app to work.Please make sure to tap on the Clear Data and clear cache button to save memory on the phone if the disable button did not clear the files. If you want to enable the app after disabling just repeat the above process and click enable button. Go to the Market place and it will ask you to update the app or if you selected auto update it will start the update process. 6. Why can I not download every Android app from the Android Market? Some apps are designed for specific screen resolutions and thus are not available on all Android devices. The high-end Android devices tend to support more apps, but landscape screened phones sometimes have problems with particular games and apps. There are other reasons why some apps will not be available, such as compatibility only with specific manufacturer’s devices, but the vast majority of apps should be available for all phones so you need not worry too much. 7. 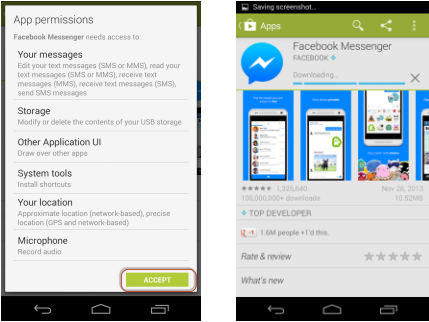 How to install apps from outside of the available App Market. The recommended option is to use the App Market available like Google App Store as there will be less viruses. 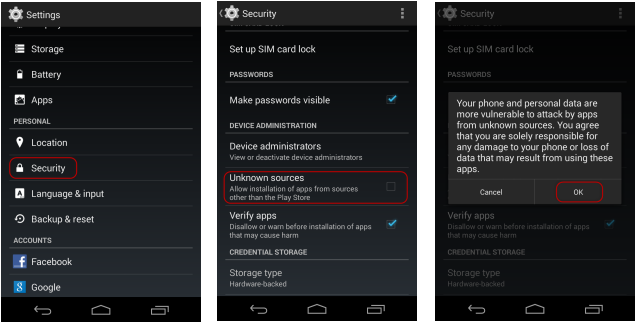 But if you certainly want to install your favorite app then go to Settings / Security and check the option Unknown Sources.Get the .apk ( android package file ) and start the installation. Make sure to scan the .apk before installation via any anti-virus. 8.How to move an app to SD card? Most of the Android devices come with external SD cards. If your device internal memory is full and you want more space , you can move your apps to SD card. Go to Settings / Application Manager / SD Card tab and select the app you want to move to SD card. Apps that are on SD card with have check box checked. Click on the App and then tap on "Move to SD card" and the apps will move to SD card. If you want to move back ,do the above steps and click on "Move to device storage" .